Here’s a quick first look at the upcoming Vintage Diver collection from Le Jour. 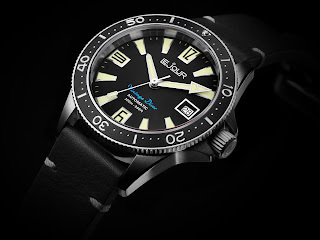 All details including spec. are subject to change. Further info. and pricing TBA. The Swiss brand, which begun life in the 1960s, have started to emerge again after 3 decades of absence. Last year, Le Jour debuted their stylish CHRONO collection. 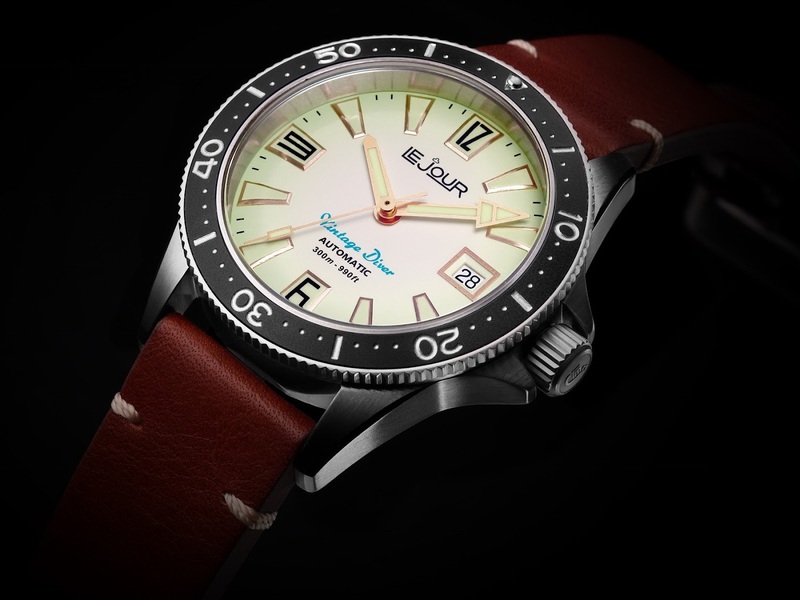 I am still haunted by them and hope to eventually have one on my wrist. For 2018, Le Jour once again trace their historical roots, however with their gaze fixed firmly on the ocean by way of a great-looking vintage diver, aptly known as, the Vintage Diver. 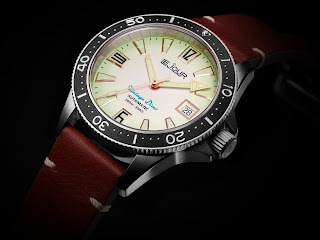 The aficionados among you will notice that the Vintage Diver references the Le Jour Superman of the 1960s with one obvious trait absent – the unique 12hr bezel indictor, which is still currently still in use and specific to Yema. The Le Jour Vintage Diver (for the moment) will be released as 4 references each with a 40mm 316L Stainless steel case. The cases are equipped with: screw-down case-backs and crowns, unidirectional diver’s bezels and anti-reflective treated domed Sapphire crystals. 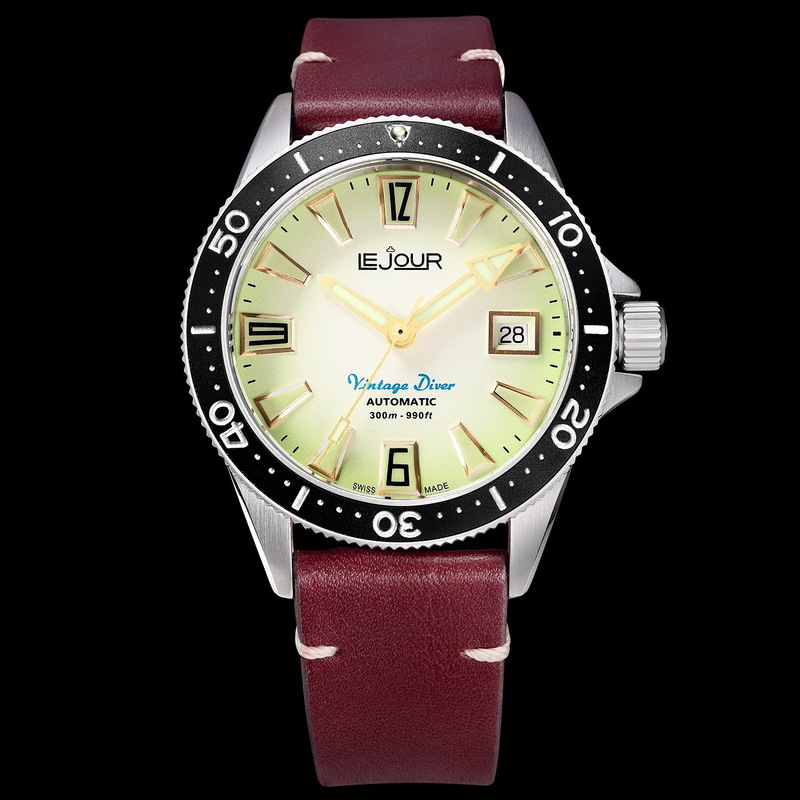 The Vintage Diver has a water-resistance of 300 meters. It is powered by a Swiss ETA 2824 automatic movement. 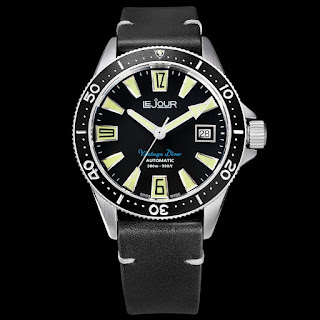 Of the 4 versions, there are two versions with black bezel inlays and black domed dials, a blue bezel with blue dial and a lume dial with a black bezel. The watches are presented on leather bands attached via quick-release pins. Le Jour expects the Vintage Diver collection to be available from November 2018. Thoughts? An almost faithful reproduction of the original with a unique style and modest size reflecting current trends for slightly smaller watches; it should be very popular.